Owning a classic car is not for everyone. Moving parts break, and although we hold them in high regard, the fact is engineering has come a long way since the latter half of the 20th century. That makes restomods an interesting proposition for many enthusiasts. All of the style from yesteryear with the technology and engineering of today. 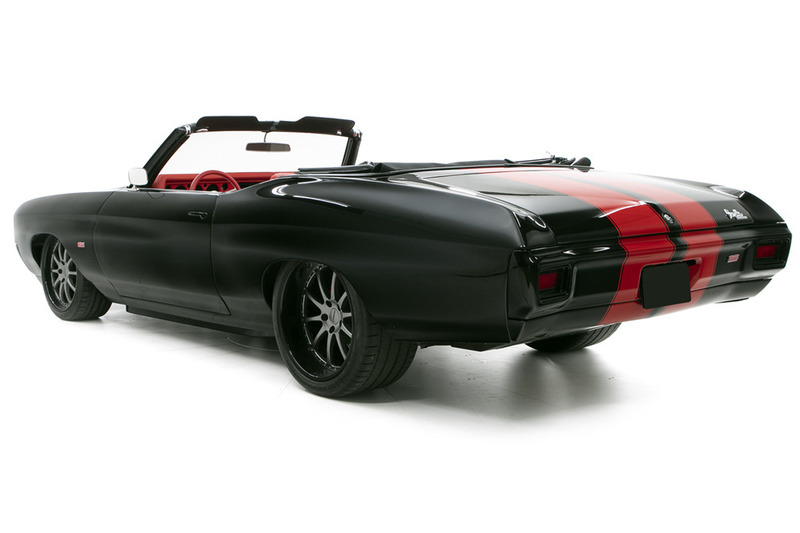 Case in point: this 1970 Chevrolet Chevelle restomod. Barrett-Jackson has consigned this particular car for its 2019 Palm Beach auction and it should have no issues finding a new home. While the design retains its 1970 Chevrolet Chevelle looks, it’s a thoroughly modern car. Underneath is a modern Schwartz Performing racing chassis, which rivals some of the best high-performance cars. The engine is a modern powerplant, too; a 6.2-liter LS3 V8 engine, to be exact. It’s not turbocharged or supercharged with the boost cranked up into the stratosphere, either. It makes a healthy 480 horsepower, which is more than enough to enjoy the car. Power flows through a 6-speed automatic transmission and out to a 9-inch rear end with 3.70 gears. Michelin tires wrap a set of Forgeline wheels, which aren’t our pick, but that’s an easy swap. 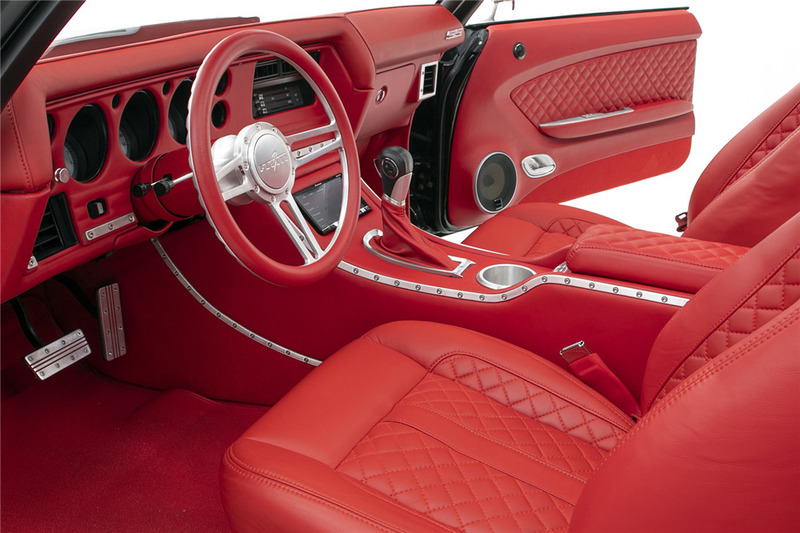 Other modern appropriations include power disc brakes from Baer, a RideTech air suspension, and a completely reupholstered interior in a beaming red color. It is reminiscent of a concept car we’d find in the late 1990s, which we have to admit, looks kind of cool. With all of that said, it’s time to scrape the couch cushions for change and refinance the mortgage because this car will cross the block with no reserve. Look for it at Barrett-Jackson this weekend. Subscribe to GM Authority for more Chevrolet and around-the-clock GM news coverage. I haven’t seen as much red in an interior since a late 80’s Ford Ranger.